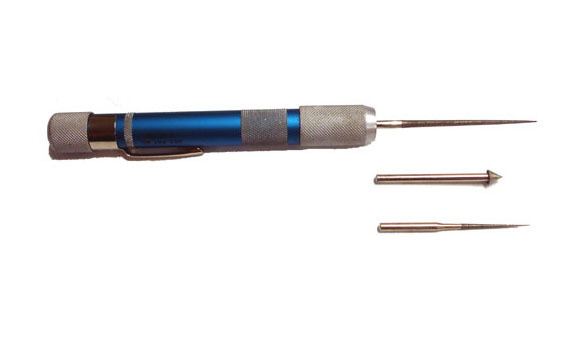 Bead Hole Cleaner : FlameTree Glass, Inc.
Pin Vise Cleaner- Mandrel holder, bead hole cleaner and dresser. Aluminum handle hold three different attachments. 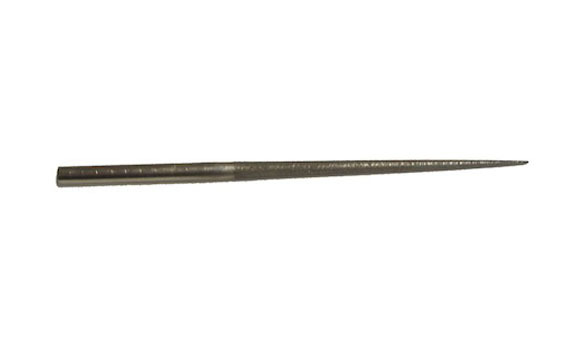 Single replacement diamond reamer for pin vise or use with dremel. Good for cleaning bead holes out. 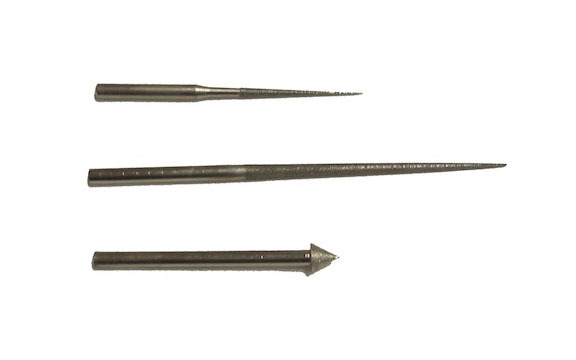 Set of Three Diamond Reamers- replacements for pin vise device or dremel tool. 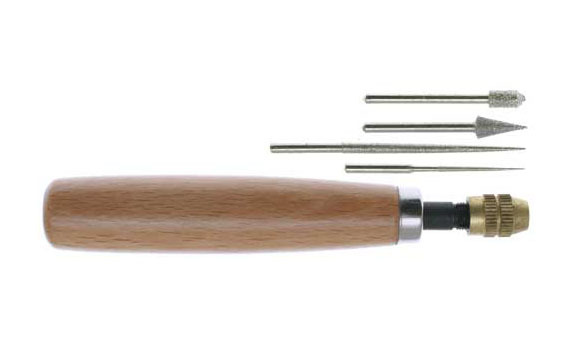 Good for cleaning bead holes and ends.